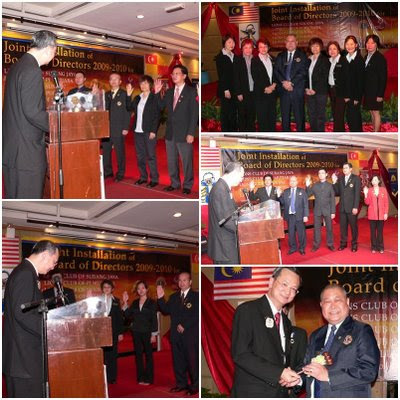 Joint Installation of BOD 2009/2010 for LC Subang Jaya, LC PJ Mutiara, LC Sunway, LC Puchong and Lioness Club Subang Jaya was held at Armada Hotel, PJ on 11 July 2009 graced by IPCC Patrick Chew with his gracious lady Queon Fee. 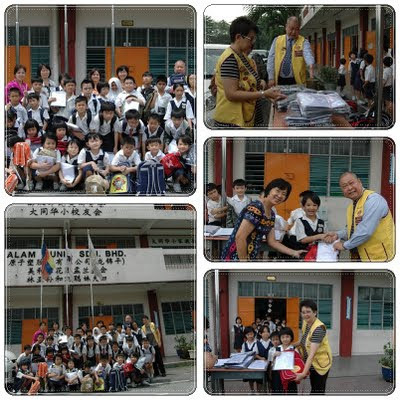 Witnessed by 180 guests including Lions from Taiwan, the programme kicked off at 8 pm. Highlight of the evening was the Installation, smoothly conducted by IPCC at 9.30 pm which took about 20 mins followed by acceptance speech by the five Presidents. After the Speech by IPCC Patrick, Lioness Gaik Bee of SJ on behalf of hosting clubs presented a Token of Appreciation to IPCC. 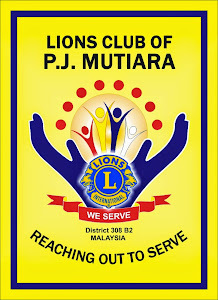 Entertainment started with two high note songs superly delivered by Lioness Belinda Chow, IPCC Patrick sang his favourite song "My Way, duet of Lion Yvonne of PJ Mutiara with Lion SN Tai of LC SJ another mandarin number, Lion Tan SK of LC SPS sang a soothing "Mona Lisa", followed by a duet by Lion Katherine & Irene of PJ Mutiara and R5C Jean Teoh wrapped the evening with another mandarin number. The evening adjourned at 11 pm. 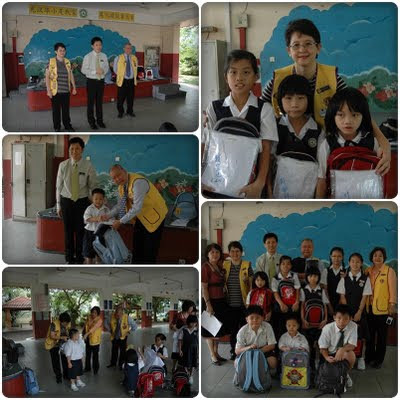 Click on website below for more pixs taken by Lions Yvonne, Poh Ling and Jessie. Stealing people's time is a crime!!! This month I want to talk to you about stealing. When we talk of stealing, we usually define it as the act of taking tangible things without the consent of the owner. But today, I want to talk to you about stealing in another context i.e. in relation to intangible things and in particular time. How many times have we seen people (I call them ‘time stealers’) coming late for a meeting for instance. With or without realizing it, these people are stealing the time of all those who were on time. The people who come on time are now ‘forced to waste’ it on meaningless activities like idle talk, whilst waiting for the meeting to begin. Another good example is when a VIP is late for the opening of a conference for instance. Let’s say there are five hundred people at the conference and the VIP is twenty minutes late. This amounts to stealing time to the tune of approximately 166 hours from everyone. That is a lot of time! What I find most infuriating, from a management perspective is that these time stealers are encouraged because their actions are tolerated by statements like, "Lets wait for the latecomers", or "let’s wait until everyone is here". And through this tacit approval, organizations and managers are in a sense giving explicit permission for these time stealers to go on stealing. And because of this, all meetings, conferences, training etc continue to start late so as to allow these time stealers to steal even more time. Importantly, by being late, these people are not only stealing other’s time but also showing disrespect and contempt for other people. If you are a time stealer, I really, really do hope that you will look at the whole situation from this new perspective and stop. And if you are in a management role, please ensure that you take action against these time stealers before ‘time stealing’ becomes a norm in your department/organization. Remember, stealing people's time is a crime!!! Thank you for taking the time to read this. Take care! Sharing from HEERA Training and Management Consultancy which I attended.